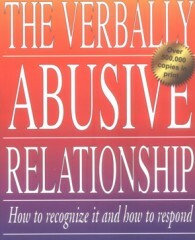 Is a Verbally Abusive Person or Cruel Insulting People Making Your Life a Misery? Swear at you, insult or sneer at you, repeatedly "rubbish" your words or actions. Use a tone of voice, facial expression or other body-language that "speaks down to you"
Constantly put you down - nothing you do will ever be good enough! Exaggerate, or constantly remind you, of your weaknesses, failings, past mistakes etc. Ignore you when speaking in a group, or take up an excessive share of attention, conversation or physical "space"
Engage in destructive communications, actions or inactions, which "stab you in the back"
Bully you, manipulate you, pressurize you, or encourage you to have feelings of guilt or inferiority. Say "poisoned" things that encourage you to feel guilty, hurt or traumatised. Lie to you, deceive you, or deprive you of ("hold back") information that you need. 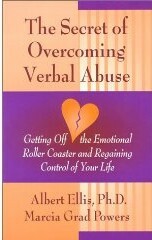 Verbal Abuse: How to Respond to "Put-Downs" & Social Pressure! Don't Let Words ring You down - You are beautiful, no matter what they say! So see - and seize! - your Opportunity! When you React, the event controls You, When You Respond Creatively, You take Control + Set the Agenda! Why do we attract & accept abuse? Why are we sometimes our own worst abuser? Deal Effectively with Difficult People: Toxic Relationships - How to Change Them!